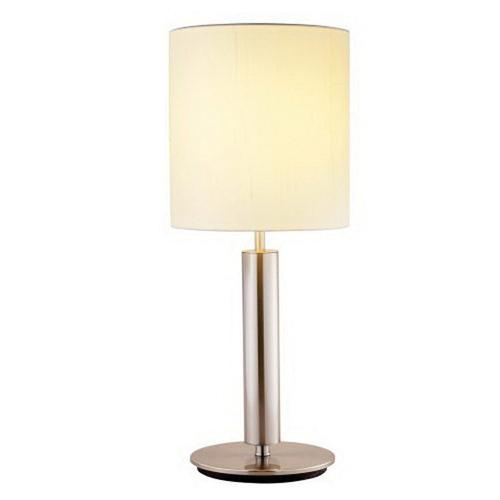 Adesso Hollywood Collection 1-Light table lamp in brushed steel finish, features steel base construction. Ivory silk tall drum shade brings elegance to the home. This modern chic style lamp uses one 100-Watt incandescent bulb that has voltage rating of 120-Volts. Floor mountable lamp measures 9.75-Inch x 27-Inch.